Bringing a new restaurant to market is an undertaking notoriously fraught with peril—in most cases. As the former home of The Angry Baker, the University District space Marker and Hough chose for their restaurant was already fairly well-suited to their needs. When it came to executing the renovations necessary to bring their concept to life, the duo did much of the heavy lifting themselves. After 10 years working together in the tight confines of a kitchen, it is hard to imagine that any secrets would remain between Marker and Hough. The two met at upscale German Village staple Barcelona, where they spent a decade working together as sous chefs. Prior to their shared stint at Barcelona, the two chefs each forged their paths in the culinary arts in their own way. 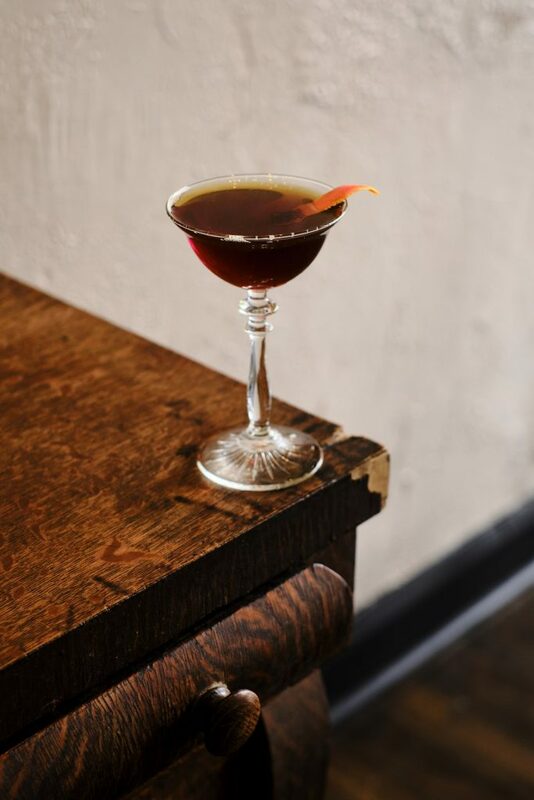 Hough’s is the classic story of learning from his mother and grandmother in the kitchen as a child, often using ingredients plucked fresh from his grandfather’s garden. He attended culinary school at the Pennsylvania Culinary Academy in Pittsburgh right out of high school and has never looked back. In Marker’s suburban upbringing, food was viewed as a necessity more than a communal family experience by his busy, working parents. He discovered his love for cooking through a high school job as a dishwasher in a nursing home, where he was sometimes called upon to lend a hand preparing meals. A culinary degree from Johnson and Wales in Provincetown, Rhode Island followed, and Marker spent his twenties in kitchens in tourist destinations of the American South, before finding his way to Columbus’ Barcelona. 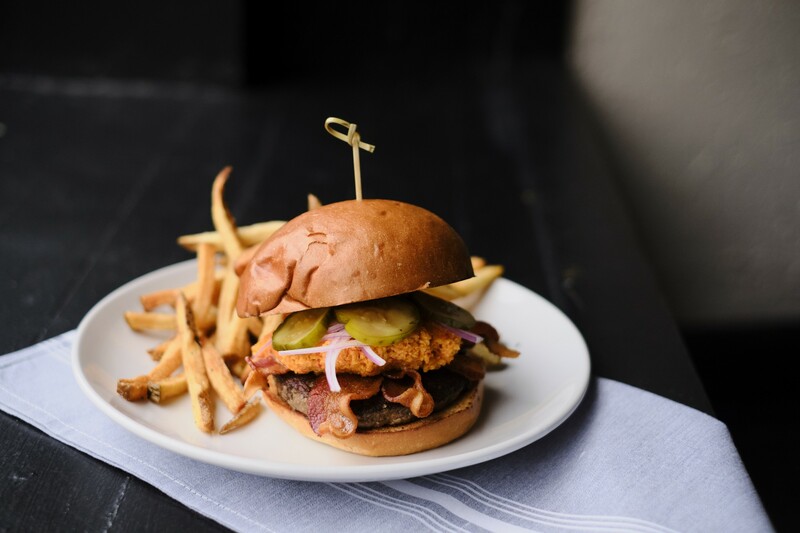 It comes as no surprise that the marriage of two distinct food influences is the defining feature of Marker and Hough’s new menu. At Alqueria, locally-sourced American comfort food classics are often presented with a Spanish twist, an homage to the duo’s shared history at Barcelona. 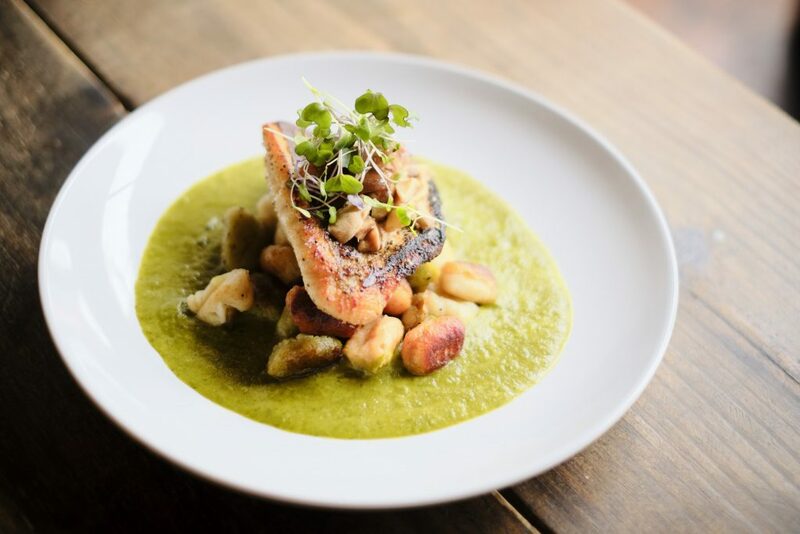 Pan-roasted Lake Erie walleye is paired with gnocchi in a Spanish-inspired green sofrito broth. 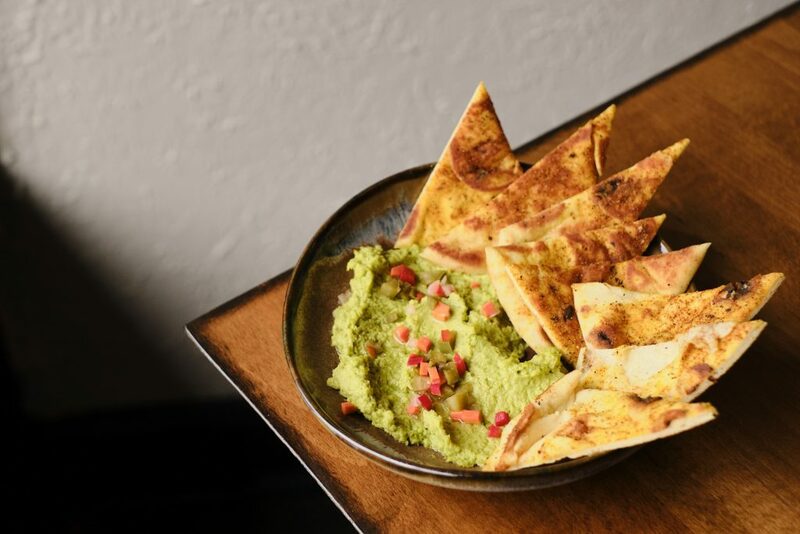 The menu’s charcuterie offerings bring Spain’s meats and cheeses to bear, while charred octopus—a holdover favorite from the Barcelona days—encourages patrons to push their boundaries outside of the familiar. Twists on American classics help the fare at Alqueria stand out from its peers in the elevated comfort food scene. 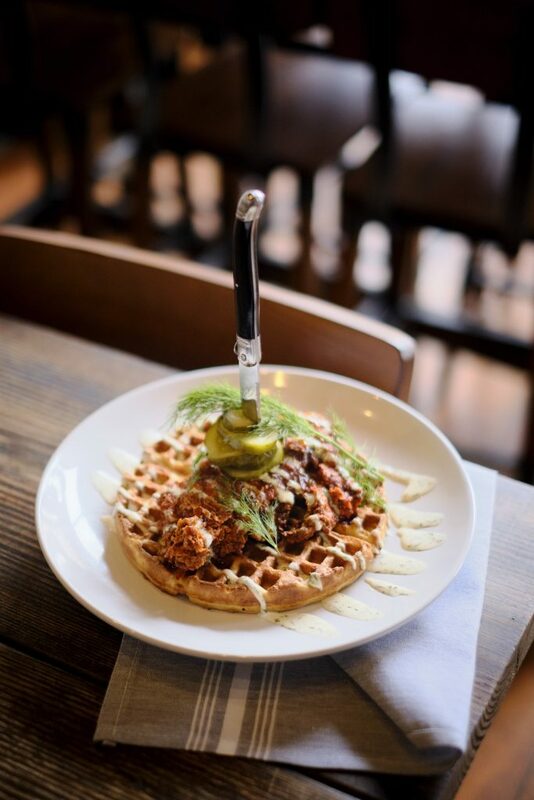 Nashville-style hot chicken, the ubiquitous menu item for any modern comfort food joint worth its salt, is here paired with a cheddar and pork-infused waffle. This lunch entree is served with a drizzle of buttermilk dill dressing and topped with horseradish pickle slices for a unique, deconstructed approach to the modern classic dish. 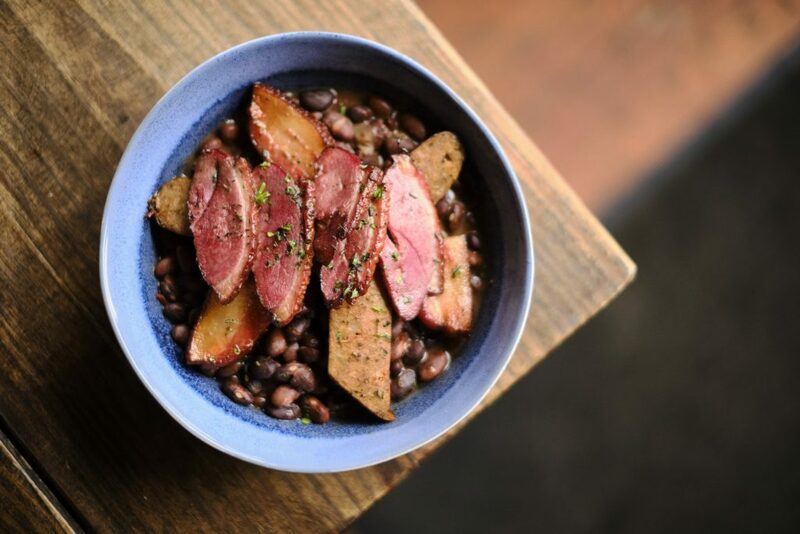 Marker and Hough take a farm-to-table approach to procuring their ingredients, which in their view means always sourcing local ingredients when they are available, allowing for some wiggle-room for creativity when necessary. (You won’t find too many Ohio-sourced octopi, after all). 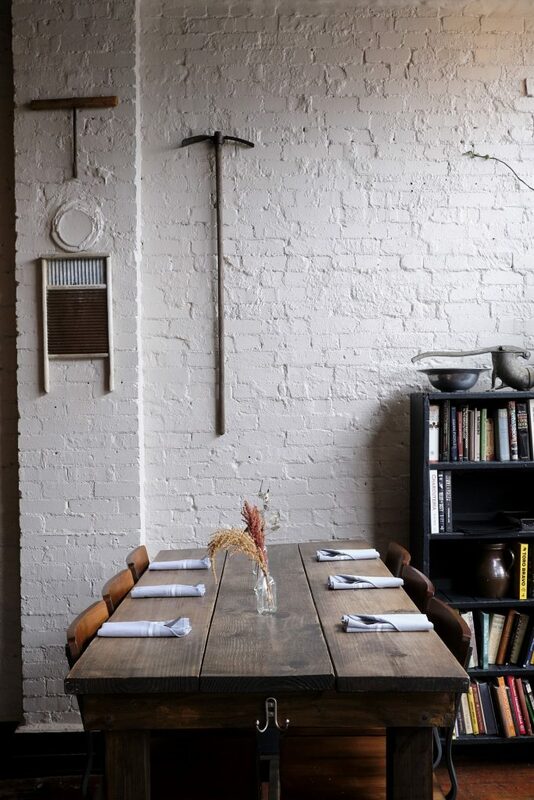 For the two chefs, the farm-to-table mentality extends to the design sense of the space, which is adorned with ample reclaimed barn wood and assorted antique knick-knacks. 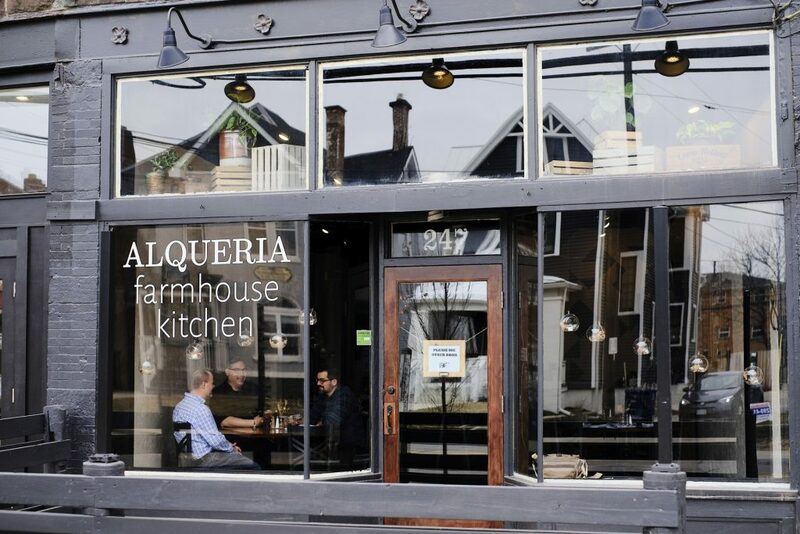 Alqueria is located at 247 King Ave. Visit alqueriacolumbus.com for a menu and hours.